View cart “EverEarth Flip Over Triangle Musical Set” has been added to your cart. 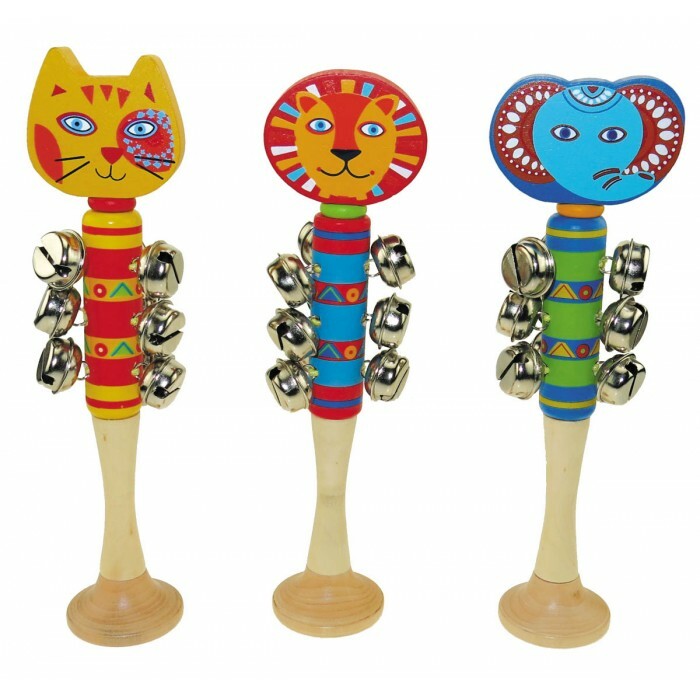 A classic musical toy instrument, these Wooden Bell Shakers are enjoyable for children and adults alike. They have a great sound, not too loud so great to use from a very young age. With a cute animal design, and wooden base they can stand once play is over! Promotes hand eye co-ordination, rhythm, fine motor control, interest in music. Excellent toy for special needs children – easy to use, easy to hold, instant response to movement.